I can have only one?? Blimey. I love most crime fiction, but I’m especially into psychological thriller. 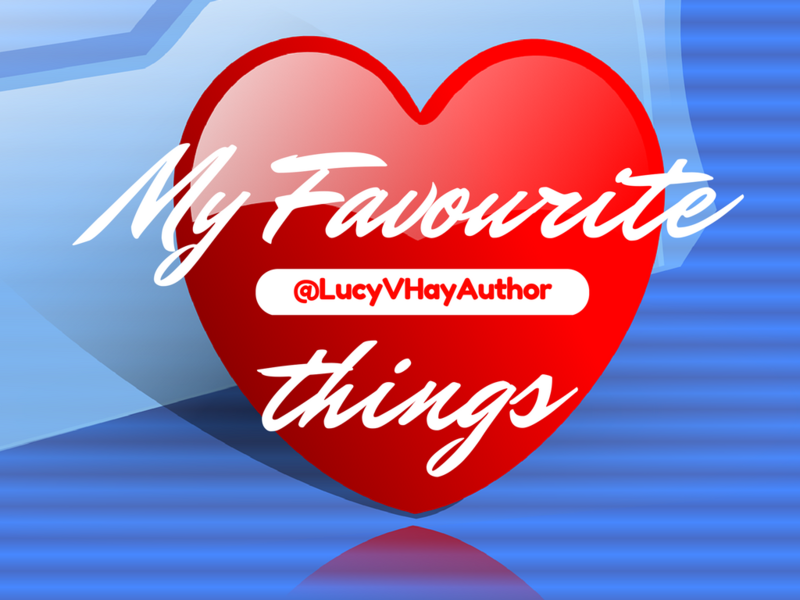 So I think my favourite author has to be … Arrrrgh! You fiend don’t make me choooose! I refuse. *Harumph*. Let’s just say I love them all! I love thriller, plus I work as a script editor for movies too, so it’s a no-brainer. I love crime, gangster, apocalypse/dystopian, supernatural – ALL OF THEM! Okay I’m being quite dull, aren’t I so let’s say ALIEN is my favourite. It’s a classic! I loved Prisoner Cell Block H as a kid – it was a real thrill to watch a TV show with women dominating the screen. Now it’s remade as Wentworth Prison and it’s just as gritty, flamboyant and hard-hitting as ever. I can’t believe it doesn’t have a bigger following in the UK, it’s amazing! Watch it on Channel 5’s 5Star channel – the fifth series has just begun. Hannibal the Cannibal is a classic, but I think the one that comes to mind now that knocks him off his top spot is Adam from Barbara Copperthwaite’s Flowers For The Dead. I couldn’t believe I empathised with this guy! I also adored the formidable and terrifying Caleb Switch in Arlene Hunt’s Last One To Die. The sting in the tale for that one was just delicious. As far as female killers go, I don’t think we have enough of them, but Amy Dunne from Gone Girl is just fantastic. She will stop at NOTHING to get what she wants! Gotta be DS Joanne Aspinall from Paula Daly’s crime series set in Lake Windemere (Just What Kind Of Mother Are You? ; Keep Your Friends Close; The Mistake I Made; The Trophy Child). I love how ‘ordinary’ she is; a real ‘everywoman’ with problems and flaws like any one of us. She’s clever, insightful and has a sharp eye; plus she’s not EXTRAORDINARY like so many female leads are forced to be. Also, her issues with romance and her overly large bust don’t define her. She is what she is and that’s so RARE in a female character. Anyone who can kill someone with an icicle like Jack Frost in Marnie Riches’ The Girl Who Walked In The Shadows gets a big THUMBS UP from me! A murder weapon that handily disappears?? Bonus. As someone who grew up in the 80s, this has to be Bugs Bunny’s ‘death’ at the hands of Elmer Fudd in the MARCH OF THE VALKYRIES Looney Tunes’ adaptation of Wagner’s classic opera. No idea what I’m on about? It’s ‘KILL THE RABBIT! KILL THE RABBIT!’ of course. Poor little bunny, indeed! I run my own writing website, Bang2write, so this means I have to ‘keep up’ with other writing blogs and sites, especially ones that are screenwriting-based. Screenwriting theory has been very useful to me as a crime author, so my favourite is probably Screencraft. But there’s stacks more: The Script Lab, Write So Fluid, Go Into The Story to name but a few. People often posit whether character or structure are more important – I say they’re inextricably linked. You can’t have one without the other, regardless of medium, because we want stories about ‘characters who DO STUFF [for various reasons]’. Chocolate. Which types of chocolate depends though … I go through phases. At the moment, I am eating my body weight in Toblerone. I am still outraged by the smaller size of the triangles though, so I may plot the murder of the Toblerone people … in my next book, of course!